My Amazon Echo sits on my bookcase dusty and unused, an unplugged piece of tubular plastic furniture that stands as a monument to my personal invocation of a technological Pascal’s Wager: I don’t know for sure if the thing is listening to me, but my perceived upside of privacy still outweighs the promise of greater domestic convenience. It’s almost certain that I will someday forsake my position, but for now, I’m content with holding the door against the hordes of techno-capitalist surveillance. 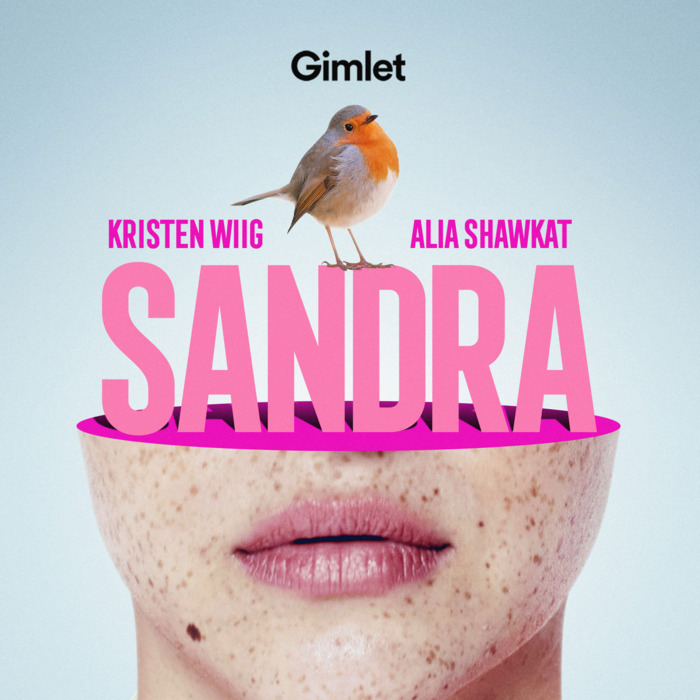 Sandra, a new seven-episode audio drama that’s one of two spring releases from Gimlet Media out in full this week, gives shape and form to the kind of anxious imagination governing my stance on smart speakers. And while the questions Sandra evokes are plenty interesting, the plot it ends up delivering is much less so. The podcast revolves around Helen (played by Search Party’s Alia Shawkat), a young woman from small town Oklahoma who is in the process of severing ties with her old life — which most centrally involves lobbying for a divorce from her estranged husband, Donny (Girls’ Christopher Abbott, hamming it up) — and working toward building a new one. Sporting shades of Dave Eggers’s The Circle, we first encounter Helen as she begins a new job at Orbital Teledynamics, one of those sleek and all-powerful technology companies whose primary product is a smart-speaker-like device with an Amazon Alexa–like virtual assistant, known in this universe as the titular Sandra (voiced mechanically by Kristen Wiig). But Sandra isn’t quite the artificially intelligent virtual assistant it purports to be. In a Theranos-level sleight of hand, Sandra is actually powered by an army of real people like the newly hired Helen, who listens to an endless cascade of customer queries and manually deals with queries on the fly. Helen isn’t particularly bothered by this: A job is a job, and even better, this job offers a pathway toward self-actualization she’s never quite had. Egged on and ostensibly mentored by her borderline creepy manager (Ethan Hawke, bewilderingly effective as an older man in search of youth), Helen’s rise as a Sandra operator tracks alongside her eventual synthesis with the role. She turns out to be most effective not when she serves as a vessel for Sandra, but when Sandra functions as a vessel for herself. It’s a genuinely intriguing premise for the podcast to explore, which also clusters together a ton of other potent notions about technology, surveillance, and the modern consumer world that skirt the delicate line between a veritably good question and tinfoil-hat territory. (Which, perhaps not unrelatedly, may well be the delicate line that defines just about everything else in the world today.) What if devices like Alexa were listening all the time, and everything you say is filed away somewhere in the cloud? What if Alexa was actually people? These questions suggested by the premise, in turn, are flipped around to reveal even deeper and more intimate inquiries: What if Alexa actually listened, and witnessed you as a real human being? What happens to our inner lives when we bring these devices into our most personal spaces? What do our searches express about who we are? These are all provocative inquiries into The Way We Live Now that could have been properly pursued if Sandra stuck with its initial gambit as a string of sketches, workplace drama vignettes, and character beats. Unfortunately, the podcast squanders its laborious world-building with an out-of-the-blue, late-game twist at the top of the sixth episode that reveals the true nature of its architecture. Though it starts out as a human drama in the age of technology, Sandra ultimately twists into a cartoonish thriller with a cardboard villain that feels like a distinct, unearned, and reductive departure from everything that came before it. What a waste! Making this all the more frustrating are the moments of real, sublime emotion that intermittently appear across the podcast’s seven-episode arc. Sandra is at its strongest in the middle, when the script is mostly done with its expository responsibilities and hasn’t yet revealed its identity-shifting endgame — that is, when it’s free to play around with the world it’s built and the connection it’s established between its main character and premise. There’s a particular scene at the end of the third episode where Helen, grooving into her role as incorporeal technological assistant, chooses to inject wonder into the lives of a young child and an elderly woman. It’s a heavy-handed but lovely instance where actual feeling takes shape from Sandra’s assembled ingredients, and an uncommon moment of insight into how the shape of dystopian concerns is often pretty close to the shape of utopian hopes. Sandra is Gimlet Media’s second audio drama after two seasons of Homecoming, its star-studded “experimental fiction podcast.” I liked Homecoming well enough, though my affinity toward that production has a lot to do with its novelty — Oscar Isaac and Catherine Keener performing in a podcast! What a world we live in! — and its appetite for playing around with new vocabularies to communicate action, plot, and context through sound. But I didn’t derive much pleasure or value from the actual story it was trying to tell, which felt more like a collection of heady plot ideas that never fully came together to convey something concrete or coherent. Homecoming did, however, turn out to be a boon for Gimlet Pictures, the podcast company’s nascent film and television arm. The podcast is now being adapted into a TV project for Amazon that will feature Julia Roberts and be executive produced by Mr. Robot’s Sam Esmail, and the writing process will presumably involve more fleshing out of the podcast’s ideas. “The podcast is sort of like story concentrate,” Gimlet Pictures chief Chris Giliberti recently told CNN in reference to Homecoming, adding that creating a TV adaptation is “like adding water.” Of course, the underlying implication is that the Homecoming podcast isn’t actually a product meant to be consumed on its own terms, and that it is the starting point for something more complete. Perhaps the podcast on its own is too rough, too elemental, too much. Have you ever tried drinking orange juice concentrate? Yikes. It’s hard not to have that framing in mind when listening to Sandra, where the concerns are familiar. Is this merely a splattering of disparate plot elements loosely strung together by well-known actors trying out this podcasting thing, with the possible upside of the whole enterprise being kicked up into more lucrative film or television projects? Is Sandra an incomplete experience? I wish it weren’t so. As much as I liked bits and pieces of the podcast, it’s hard to consider it as anything but jarringly unfinished. This first season ends on what is supposed to be a suspenseful cliffhanger, as Helen heads off to confront possible danger. But it really feels like the end of a long, confusing, overly revealing movie trailer: Sandra, coming soon to a theater near you. I think?